My shoe next to that of the tallest man ever known to walk the earth. I’m 6 ft 1in tall and wear size 12 shoes. 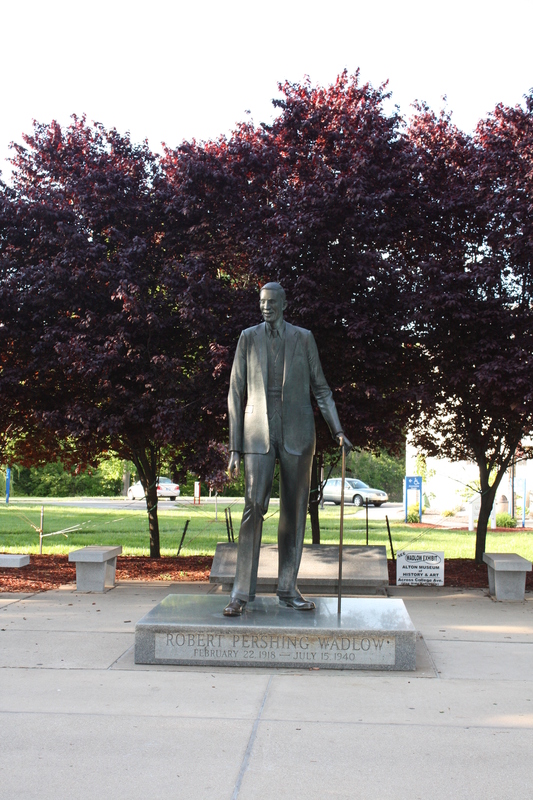 Robert Pershing Wadlow was 8ft 11in and wore size 37 shoes. 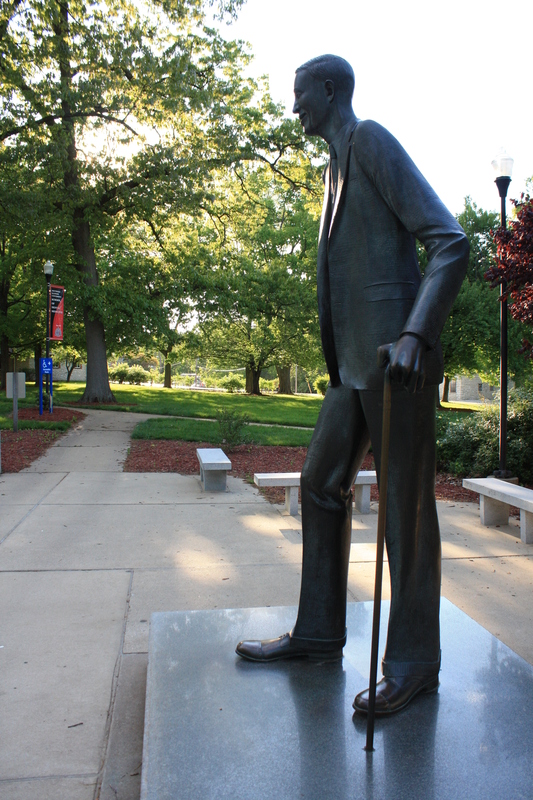 Out of all the people on the planet, the honor of being the World’s Tallest Man in recorded history belonged to a gentleman from Alton, IL, a town just 30 minutes from my own hometown. 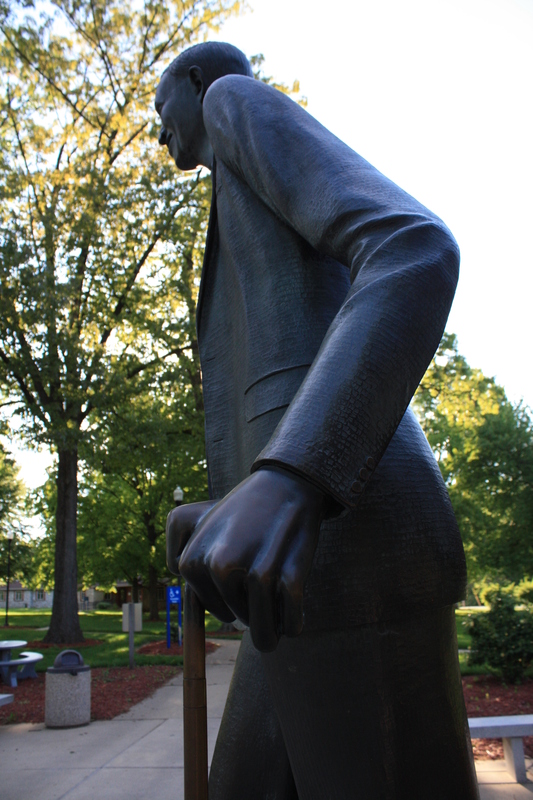 I thought it only fitting for me to grab my camera and make the short drive to the monument dedicated to him. 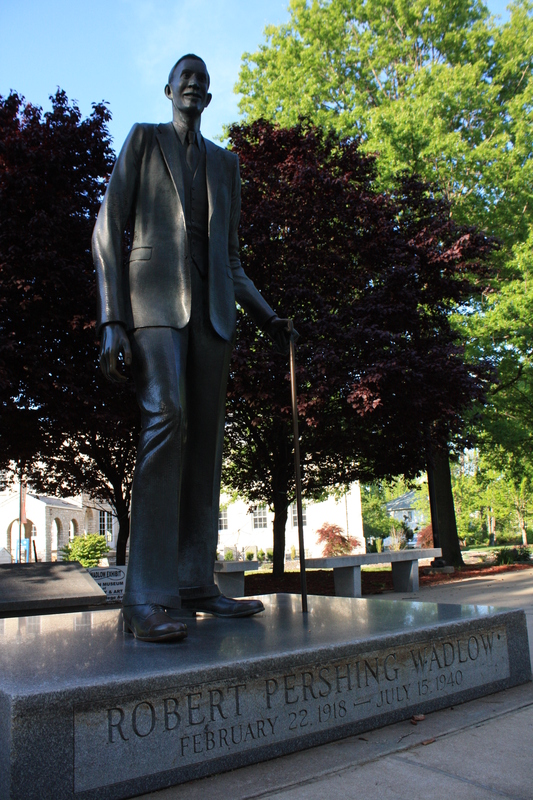 The life-size statue of Wadlow stands on College Avenue in Alton, opposite the Alton Museum of History and Art. 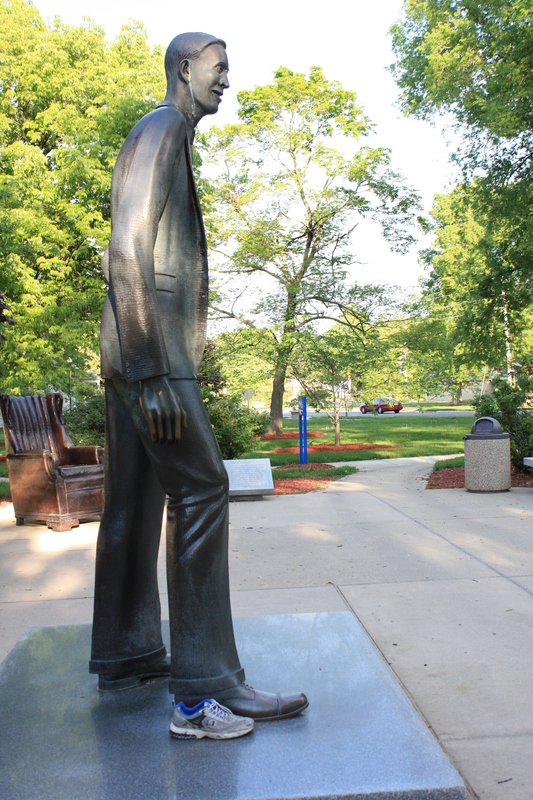 The statue was erected in 1986 in honor of the hometown native. 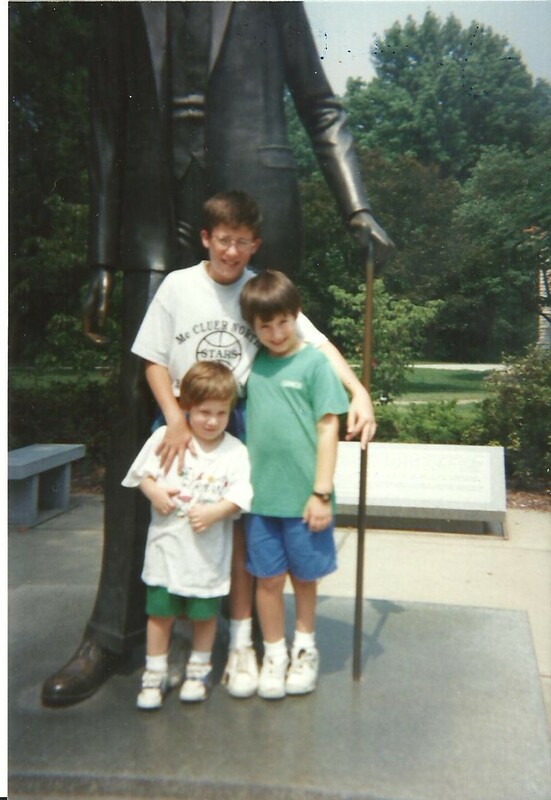 I first visited the statue with my grandparents back in 1995 (check out the shorts I’m rocking in a picture in the gallery below) but hadn’t been back until this past week. 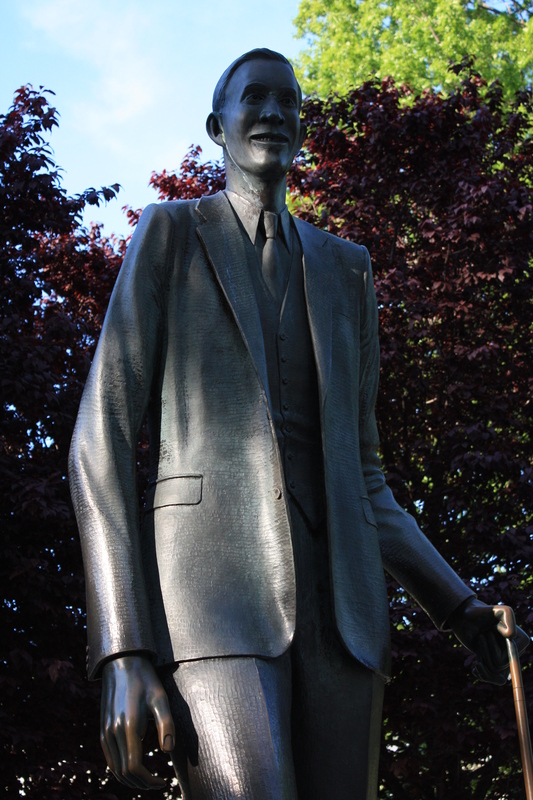 His statue looked just as enormous as it had when I was 12. 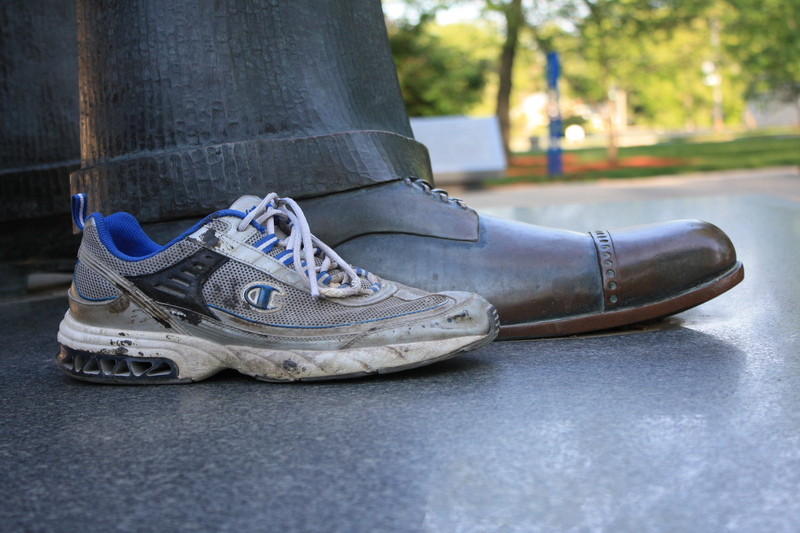 Unfortunately I was the only one at the statue when I took pictures…so my shoe was the only point of reference I had to show just how, pardon the pun, largest than life he was. 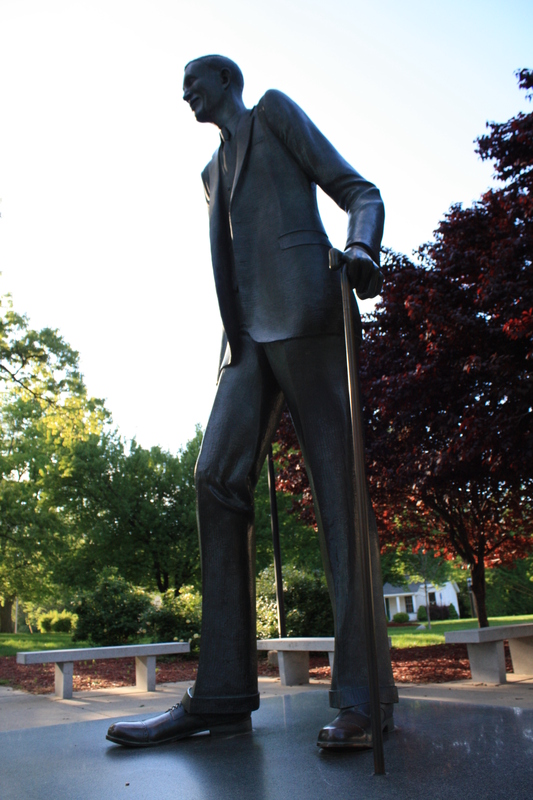 Known as the Alton Giant, Robert Wadlow was born in 1918. His size was noticeable from an early age with special desks having to be made for him as an elementary school student. By his freshman year of college he was already over 8ft 3in and showing no signs of stopping. 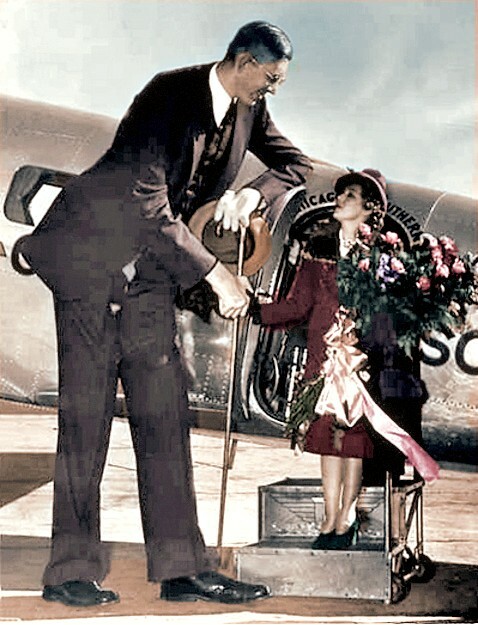 His celebrity status in American culture comes as no surprise and in 1936 he toured the country with the Ringling Brother Circus. 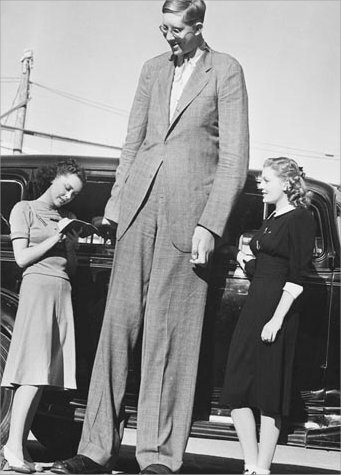 Mobility was always a problem for Wadlow, often requiring braces to support his 440lb frame. 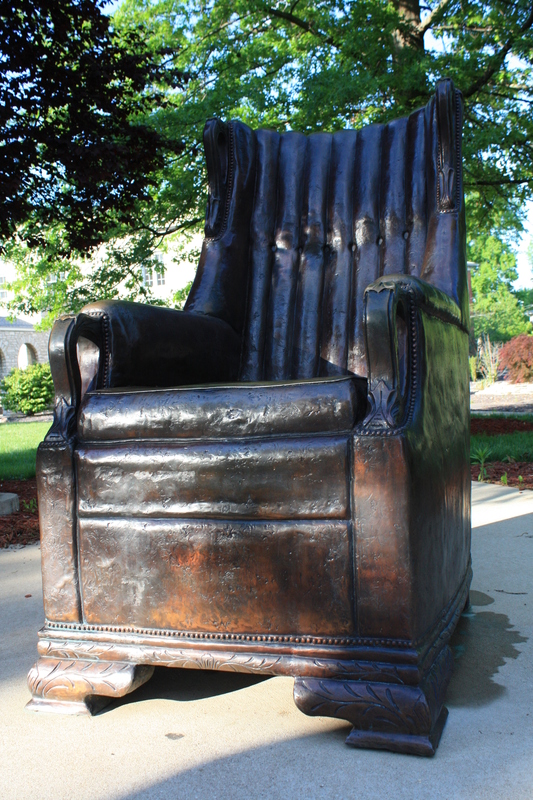 Sadly his giant stature would be his undoing. 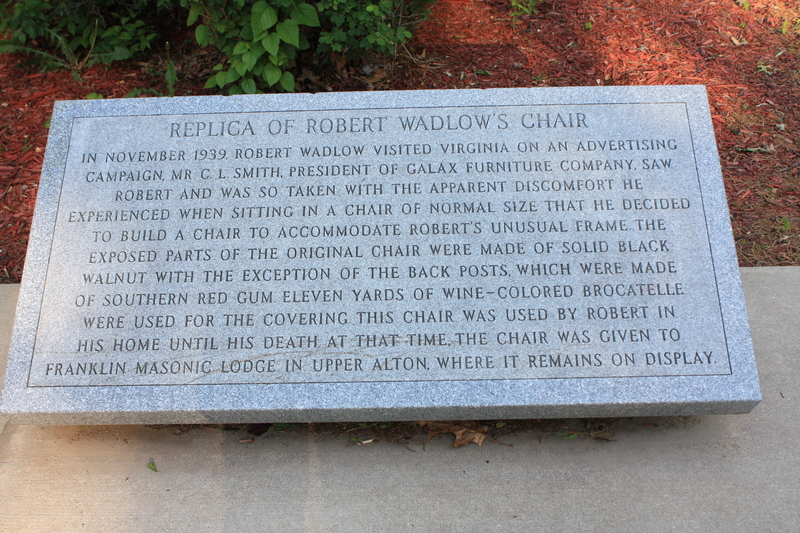 On July 4, 1940 a blister on Robert’s foot became infected requiring doctors to perform an unsuccessful blood transfusion. 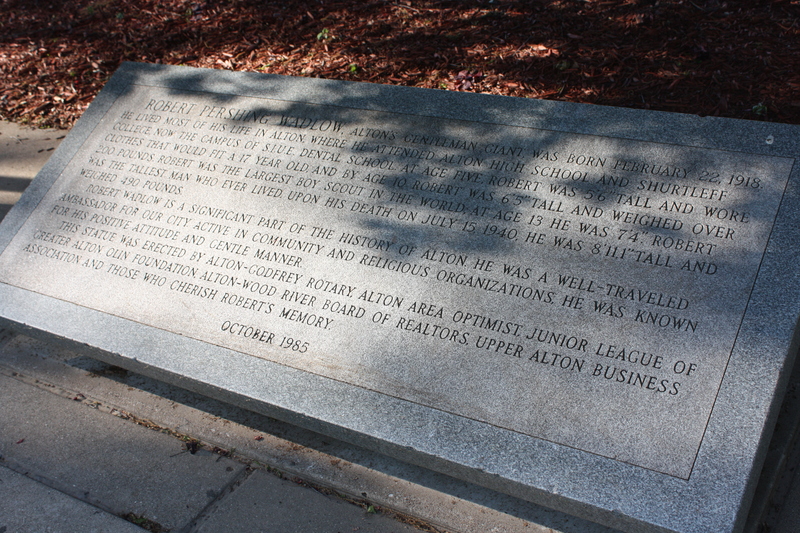 He would pass away in his sleep 15 days later at the young age of 22. It is said his funeral was attended by nearly 40,000 people. His casket was 10 feet and required 12 pallbearers to take Robert to final resting place, which was interred in a vault of solid concrete. 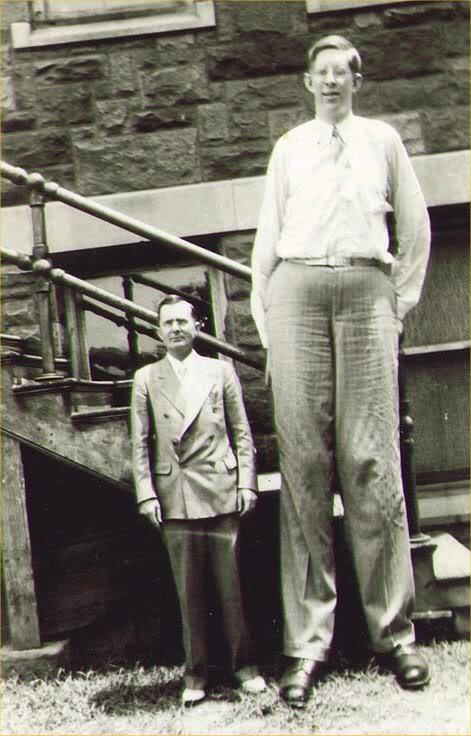 While Robert Wadlow will likely hold the world record indefinitely at 8ft 11in doctors said that his body showed no signs of slowed growth. 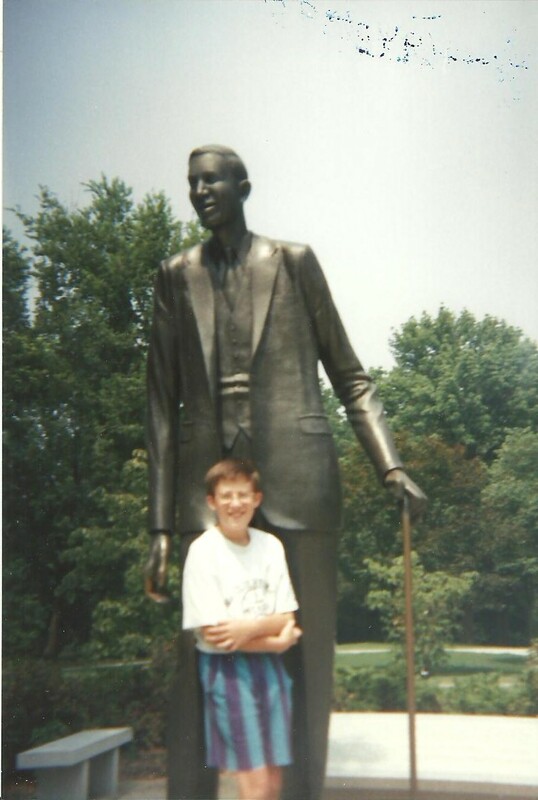 Who knows how tall he could have become. 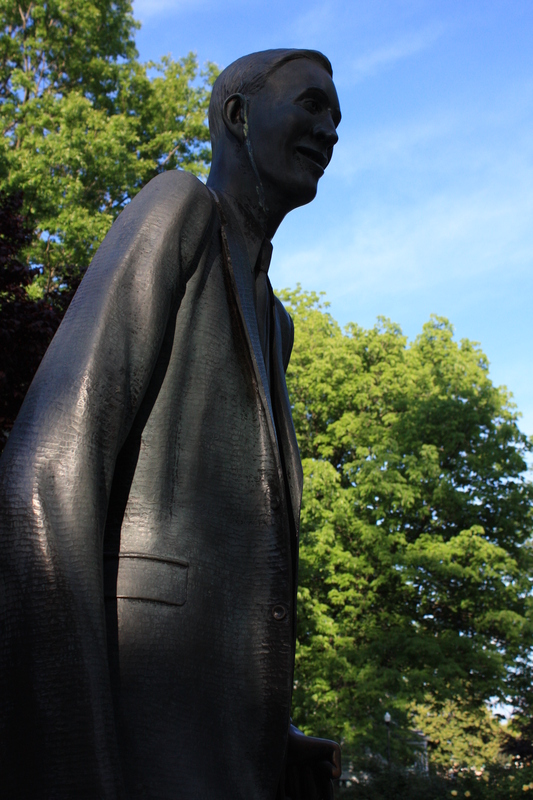 There are six other life size statues of Wadlow, one of which resides at the Guinness Museum in Niagara Falls. Here’s a video about his life.